Fall in Love with Brown Haven Homes – in Dawsonville! Brown Haven Homes is excited to announce the Grand Opening of our new Sales Center & Design Studio in Dawsonville, Georgia. We will be celebrating with a Grand Opening Weekend on Friday, November 17th and Saturday, November 18th, from 10am to 5pm. There will be tours of the Design Studio, and refreshments. We look forward to meeting our new neighbors, and to building beautiful homes in the Dawsonville area! Our professional Design Studio is the hub of the home building journey, allowing our homebuyers to watch their choices come to life. From feeling the wood grain of hardwood floors to piecing together the tiles of a kitchen backsplash, they can experience every detail of their custom dream home right here. Luxury Finishes. 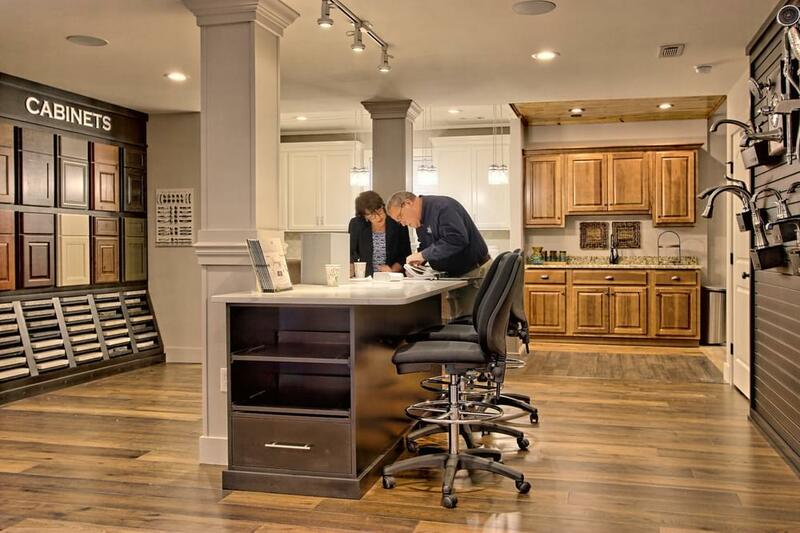 Our design specialists have chosen only the best materials, so our homebuyers enjoy peace of mind knowing they’re getting the highest quality finishes, while staying within their budget. Superior Products. Our Design Studio brings all of our new home options right to your fingertips. From premium tile backsplash to elegant dining room lighting fixtures. Endless Selections. Whether it’s choosing a finish for kitchen cabinets or high-impact stone for the fireplace, our buyers find only the best-quality materials to create the customized living spaces of their dreams. Breathtaking Exteriors. Craft an exterior that is as stunning as the views you’ll capture from it. From siding and windows, to paint colors and lighting, each and every detail is hand-selected. An Incredible Experience. We believe our homebuyers deserve a truly enjoyable and stress-free experience, so we offer premium products for every detail from the hardwood flooring to the kitchen cabinet handles. Dawsonville, located in Dawson County, is the county seat and home of Amicalola Falls State Park. Nestled in the foothills of the North Georgia Mountains, Dawson County is 40 miles north of Atlanta. This community offers great opportunities for shopping, outdoor adventure, local events and festivals – including the annual Moonshine Festival! Lake Lanier is the largest lake in Georgia and offers exciting activities including beach and park access, camping, fishing, boating, swimming, and other water sports. You can also visit the Georgia Racing Hall of Fame Museum, learn about the history of stock car racing, and see the vintage cars on display including the first NASCAR racecar driven by Bill Elliot. From hiking and bird watching, to moonshine and NASCAR, there’s something for everyone in Dawsonville. If you’re around Dawsonville on November 17th or 18th, drop by and see us! For more information, contact Shannon at 706-896-0891 or Shannon@BrownHavenHomes.com, or visit our new website at BrownHavenHomes.com. The new Sales Office & Design Studio is located at 837 Highway 400 S., Suite 105, Dawsonville, GA 30534.